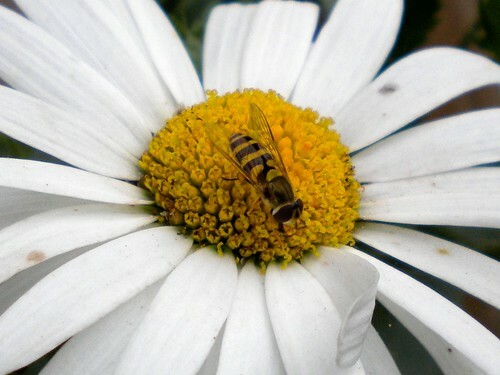 Flower & Hoverfly, originally uploaded by plingthepenguin. I just discovered this morning that I didn't have the stabilisation on in the camera settings - it appears to be off by default & I must've missed the "Electronic VR" option when I was going through the menus. So the blurry nature of this garden picture (c.f. this one from the lumix) and this indoor one is probably just due to that not being set up right. And every camera test needs a bonus cat picture!